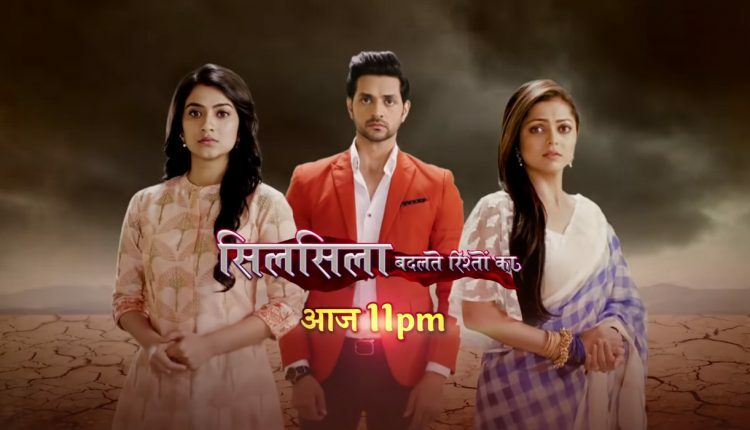 In the latest episode of Silsila Badalte Rishton Ka 9th November 2018, Kunal wishes that to tell his family about Pari. Today’s latest episode begins with that outside Kunal wipes the tears of Pari. He speaks to Nandini that their daughter is really so strong. She was not afraid in the camp at all. Pari said that she was really so fearful and she missed him. She was very upset and hugs Kunal so tightly. To say all this Kunal apologies and promises that he will never let her in any situation. Pari said to her dad that he never break the promise. She asks her dad that if he would have been like Mishti’s mama. Kunal said that their case is different, he is her mother, Dadi and everyone for her. He spends a lot of time with her daughter that is Pari. He narrates her beautiful stories when she went to sleep, and make awesome hairstyles with her and visits park her as well. Pari and her father they both were so happy with each other. Now he demands Pari love from everyone. She shares kisses with him only. Kunal hugs to Pari out of love. He silently thinks that she has two grannies but they might not love her the way that she deserves. He does not want her to face the same rejection he and her mother did. At night, Kunal sang a lullaby for Pari while she falls asleep in his lap. He thinks about her mamma that she was singing the same lullaby. He thinks that Pari’s grandmother is nearby, but she does not know that they have a cute Pari as well. He takes his phone, then he decided that he call for the sake of Pari’s today. He dials a call. Mamma picks up the landline phone. Kunal recalls one earlier that he had a called to wish them. But Mamma scolded to him for that leaving every relation for that Nandini.